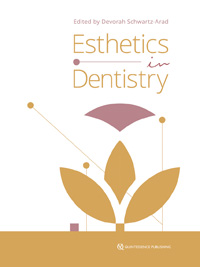 A unique collaboration between 17 internationally renowned women dentists has resulted in an inspirational textbook on esthetics in modern dentistry. Illustrated with over 800 figures, the book presents a thorough overview of various aspects of esthetics, including orthodontics and orthognathics, implant therapy, restoration, rehabilitation, materials, trauma, and surgery. Each author also provides fascinating insights into her journey to become a successful female dentist in a male-dominated industry. The stories differ, but the results are the same - excellent patient care and excellent esthetics. "My sincere hope is that, over and above its professional contribution to the dental community, this book will encourage both young and experienced women dentists to escalate their knowledge, wisdom, and artistic talent, and to have the impact on the dental community they so rightly deserve." This impressive evidence-based textbook covers all aspects of immediate implant placement and immediate loading with the aim of helping practitioners attain an advanced level of clinical practice in implant dentistry. Chapters present the fundamentals of implant placement, socket preservation, augmentation, peri-implant soft tissue management, and immediate loading protocols, which constitute the basis for predictable, functional, and esthetic outcomes. The simplified clinical protocols described in this book represent a revolution in the esthetic rehabilitation of the edentulous maxilla that updates the knowledge base and corrects outdated principles deeply rooted in the profession. The treatment strategy is prosthetically driven and tailored to address the anatomical realities of any clinical situation.